Prince’s death earlier this year was the result of an overdose of opioids, the Associated Press reported on Thursday, citing a law enforcement official. Now confirmed by the medical examiner, Prince has just become a key example of a problem that has spiked in recent years — and that has become a key undercurrent in American politics. 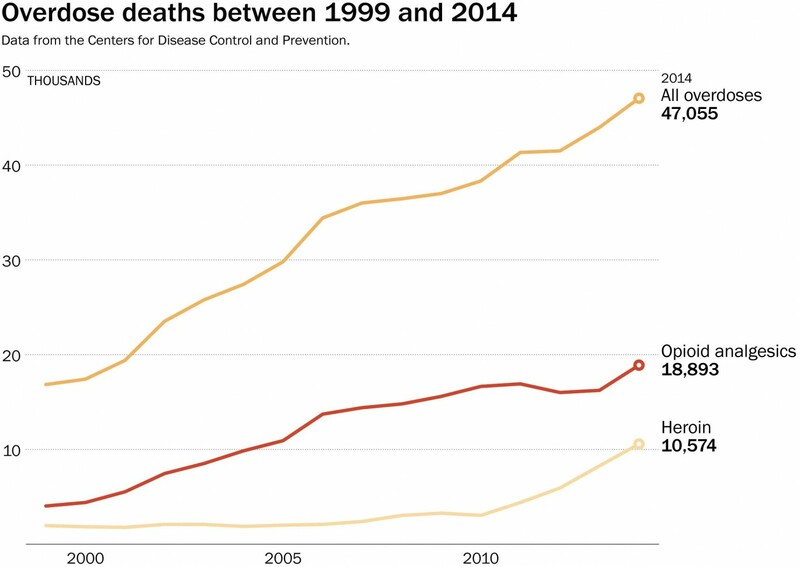 At the end of 2015, the CDC released figures for that year and the trend back to 1999. Sixty-one percent of drug-overdose deaths in 2014 involved some sort of opioid, including heroin. The CDC’s report identifies the trend as an “epidemic,” with the death rate from drug overdoses doubling between 2000 and 2014. Continue to the the Washington Post full story.